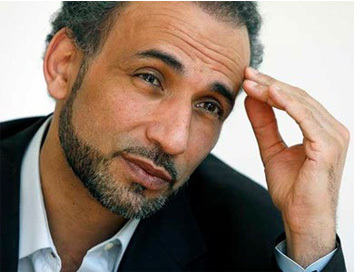 Professor Tariq Ramadan has been described as one of the “most important innovators for the 21st century” by Time magazine, and is considered as one of Europe’s most prominent intellectuals. Professor of contemporary Islamic studies at Oxford University, he is the author of a number of highly influential books on Islam. Ramadan holds an MA in philosophy and French Literature and a PhD in Arabic and Islamic Studies from the University of Geneva. 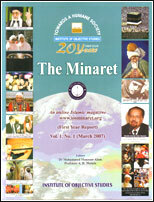 In Cairo, he studied classic Islamic scholarship from Al-Azhar University. After the recent influx of refugees into European countries, how do you see the rise of far- right groups? I do not think that the rise came after the influx. Over the last 20 years or so, what we have seen in many European countries, like France of course, but even in Britain, Austria and now in Norway and Sweden, is a discourse nurturing fear, coming from the far right parties and populist parties. Sometimes, they are not exactly the same. They are nurturing a sense that within globalization, the countries and people are losing their identities. The populist parties are normalizing the discourse. So in fact, we are demonizing the far right parties but we are normalizing their discourse. And this is very dangerous because even though they are not going to win the election they are winning the narrative and shaping it in a way that is very problematic. What do you mean by populism? There are four main features that define populism. Populism is emotional politics. It deals with the emotions of the people and it nurtures a sense that we should not deal with facts and figures but deal only with anecdotes not rationality. Second, it nurtures the victim as well as “us vs. them” mentality. Lastly, it offers simplistic answers to complex questions. If for example there is an unemployment problem, then the rhetoric becomes that these people are coming to take our jobs. When you are not dealing with actual politics you will be dealing with these four features. The refugee crisis was the revealing factor and not the reason for the rise of far right groups. Because when you deal with facts and figures you realize that Europe needs refugees, they need migrants. And all the figures are showing them they need millions, not a few hundred thousand. Why? For one thing, the society is becoming old and the world around, the Africans and Asians are a young population. What about the integration of those immigrants into new communities; Do you see calls for their assimilation? The problem once again is to keep repeating as a mantra, “it’s not working, it’s not working. Those Muslims are not integrating,” and I am saying exactly the opposite. I am saying you are lying. At the grassroots level, far from the controversies at the national level of anecdotes, the historical movement is working. In cultural and religious terms, it’s working. What is not working is something else, which is social justice, urban policies, educational opportunities, and equality. So we have to reconcile ourselves with the socio-economic approach and not to “ethnocise” or “Islamicise” the socio-economic problems. By doing so, this is where the populists are winning the game. And it has come down to become a discussion about assimilation. But I am sorry, cultural and religious integration is working. We need now to get past the integration discourse. Don’t tell me if you can integrate, that’s done. Tell me how you can contribute. As long as we keep repeating as a mantra: ‘integration integration.’ We are nurturing this perception that it doesn’t work. The success of integration is to stop talking about integration. I keep repeating this, but this is very important because the populists are working on emotions, meaning perceptions. So when for example, Huntington was talking about the Clash of Civilizations at Versailles, they responded to him by saying oh no, it’s a clash of ignorance. And I said no, it’s neither this nor that, it’s a clash of perceptions. How you perceive and nurture perception is based on Emotions which are based on irrational constructions or non-rational constructions, which is not exactly the same. How do you see the increasing rhetoric against Islam, especially after the rise of the so-called Islamic state, which uses Islam to justify terror? Once again, we have to be very cautious. We have to keep the historical dimension here. What is happening with ISIL is not new. It happened also with the Taliban in Afghanistan. It started, in fact, in 1979 with the Iranian revolution and this became the starting point of this negative perception. Now my take on this is, we as Muslims can keep saying ‘oh this has nothing to do with our religion’. But I think we are not addressing the issue. Yes, we have to come with a very clear religious discourse, saying that this is not Islamic. But we need to have a political discourse. And the political discourse should address the causes and reasons, because it’s not as if this just happened out of nowhere. For example, in the states you have those who say we have to tackle the issues of extremism, and at the same time, their governments are talking to Gulf States that are promoting literalism, which is the starting point of everything. So how do you call your citizens to be moderate when you are nurturing the literalist’s understanding of Islam? So there is a contradiction in terms, and in fact your economic interests are going against your social peace and stability. So you have to take a decision. What do you want exactly? So we need to politicize all of this a bit. We continue talking about the youth as if they are disenfranchised and so on and so forth. But look, it’s more than just frustration. They are asking good questions. They want to know what you are doing with justice in your policies. Do you think that people’s fears regarding the rise of Islamic extremism are legitimate? And should Muslims share the same fears? The far-right has been using anti-immigrants rhetoric to win supporters. We are all scared. Do you know what the common disease we all share with Muslims, people of other faiths or our fellow citizens? It is victimhood. We are all victims. So where are the people who are responsible? You have George W. Bush saying we are victims and you have the other side saying we are victims of the American policy. So welcome to the world of no subjects, the world of all victims. If you watch TV or the people in the media, of course it’s legitimate to be scared. So we have to acknowledge the fact that people are scared and to differentiate between the fears of people at the grassroots level of ordinary citizens from the way this fear is being ‘instrumentalised’ by populist parties. How much of the rhetoric now that we are hearing in Western nations is mimicking the rhetoric that have been hearing in Muslim majority countries for decades, especially as it pertains to this growing obsession with identity politics. Of course, if you have something that we are all sharing, which is the victim mentality, then you will have the identity business everywhere. How do we define ourselves? When you have a crisis in defining yourself, you are going to reduce your identity to only one thing. So it’s only when you are at peace that you are going to understand that you have multiple identities. So, in a world where we are all scared, we end up reducing ourselves to one identity and this is the polarization and the ‘us versus them’ develops. But if you understand that you have multiple identities that are overlapping with others, and that there are things that we are all sharing then, you will be at peace. But this takes time effort and education.